We all love a bit of magic and what could be more magical than a unicorn! 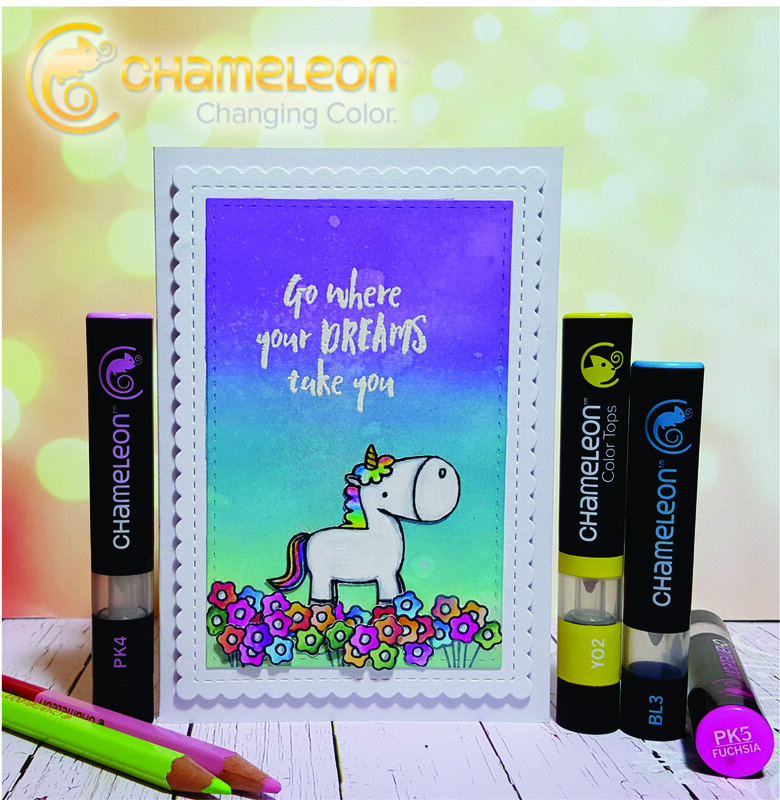 Sandra has created this colourful fantasy Unicorn's World Card using Chameleon Color Tone Pens, Pencils & Color Tops. Sandra said "I will always believe in Fairytales and every creature in them. And Who doesn't love Unicorns, right? They are magic and colorful and sparkly ... I know a few people that are into magic, color and Fairytales so this is the perfect card for them. It’s always spring in the land of Magic and Unicorns." You too can recreate this card, just download the Unicorn's World instructions here.